Take one handful soaked channa dhal keep it aside. Blend all ingredients coursely (except onion,curry leaves). Add the curry leaves,onion & soaked whole channa dhal . Make a ball and flatten it & Deep fry in oil until golden brown. Yumm! 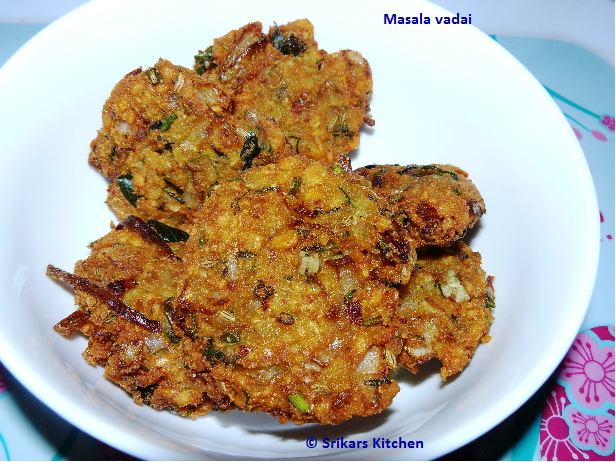 !feel like having rite now, Crispy Vadais! Hi Thank you for dropping a nice comment on my post and thanks again for taking time to drop by.Aama vadais are one of my most relished vadais.These look so delicious. All time favourite..... looks perfect! My fav Anytime snack! These looks super crispy and delicious! Lovely vadas. Looks crispy and yummy. I came here through the message you left on my blog. 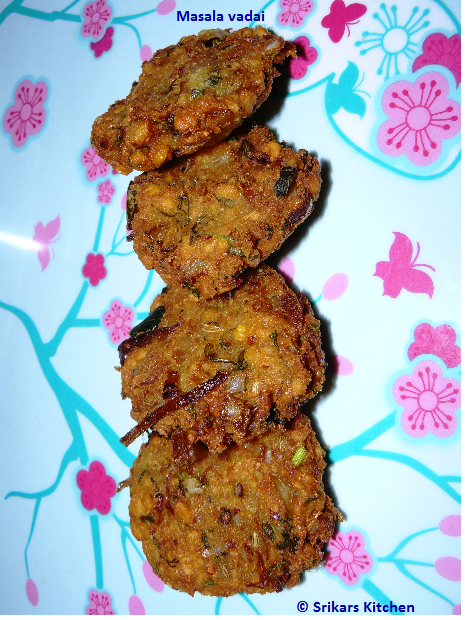 You have a nice blog and those vadas look absolutely tempting!